Keeping an overview on everything you have packed in a bag can be a challenge. In certain fields of application, having the overview at a glance can save time, money, or a life. Our challenge is to track the inventory of a nontransparent container, like a toolbox, suitcase, backpack etc. The two assumptions here: The items in the container are used on a mission site, and their completeness is critical to success. Examples include rescue and paramedics, industrial outage inspection, military operations, mountaineering, caving and even travelling. We meet this challenge with an automated inventory, where the items report their presence to the container, the container is connected to a mobile device, and the device runs a dynamic packing list with updates and incompleteness alarm. With the SmartBag project, we aim at a functional sample for the automated bag inventory for demonstration purposes. 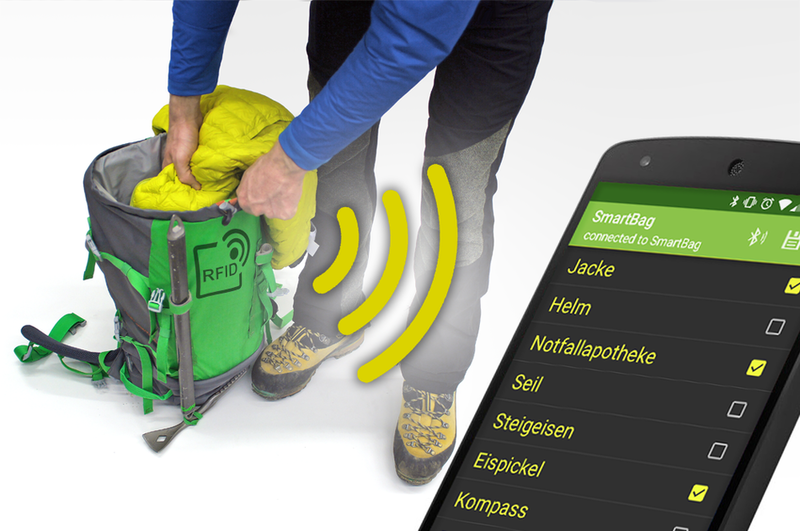 Embedded in the context of mountaineering, we want to show that a backpack can register the mountaineering items it is loaded with and send this information to a connected mobile device. The functional sample demonstrates that the user can check its contents at a glance. Items intended for the SmartBag are RFID-tagged. 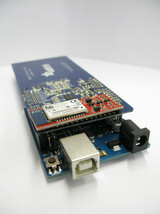 The bag is retrofitted with an Arduino Uno microcontroller board enhanced with an RFID-reader and a Bluetooth module. Items detected by the RFID-reader are reported to the mobile device via Bluetooth. 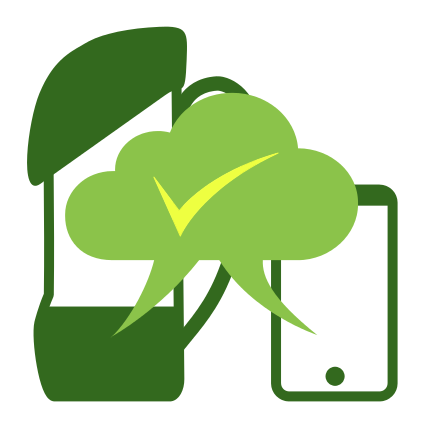 The mobile device runs a specifically developed software app with the dynamic packing list. As a result, items are automatically checked on and off the list Via Bluetooth the Smart- Bag is connected with a mobile device that runs a mobile app to track the inventory. Hence, every change of inventory is communicated from the bag to the mobile device. There, an interactive packing list highlights missing items. The packing list can either be a preset default, or generated on-the-go, depending on the application. Ideas for future work include integration of the RFID and Bluetooth function on a dedicated and custom-made printed circuit board to reduce volume, weight and power consumption. Energy harvesting as an independent power source, and alternative communication principles like WiFi, are further fileds of investigation. With RFID, it would be possible to connect mutlitple SmartBags to a database server and manage large amounts of information.